With more than 90 state parks to explore, we have plenty of nature spots to get lost in when we just want to get away from it all. Some of the most traveled state parks are right here in Texas, and I don’t blame people for coming long distances to witness the beauty of the Lone Star State for themselves. From the mighty red rocks near Amarillo to the pineywoods of East Texas, here are what we consider to be some of the most amazing state parks in Texas. To me, this is one of the most special state parks in Texas. 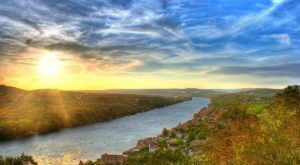 You can choose from a variety of trails, whether you want to climb along the limestone rocks on the Pedernales River, or ascend Wolf Mountain on a six mile trail. 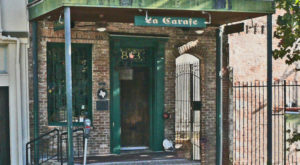 My family and I have been coming here for years, and love it more and more every time we go. In the heart of the tranquil and remote arid lands of West Texas, you will find the Davis Mountains soaring into the endless sky above. While at the park, you can hike, camp, stargaze, and learn the history of the park and nearby fort. 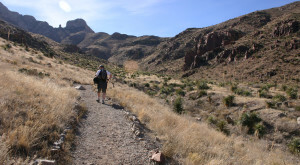 The Franklin Mountains are the largest sustained mountain range in Texas, at a peak elevation of 7,192 feet. 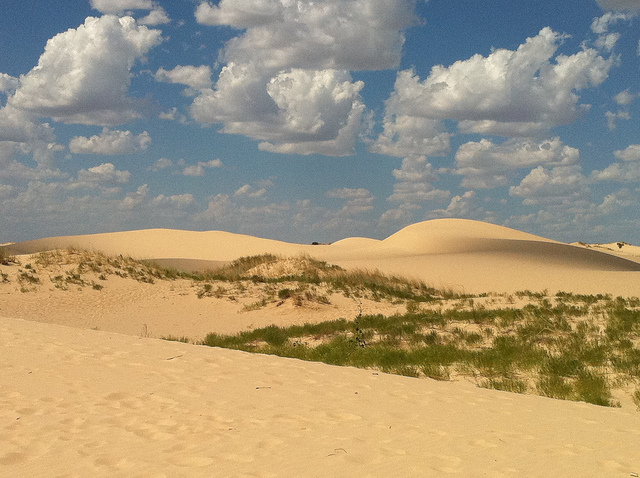 There are two hiking trails through the park, and limited primitive camping is available. 12 miles east of the small town of Canyon lies the second largest canyon in the U.S. 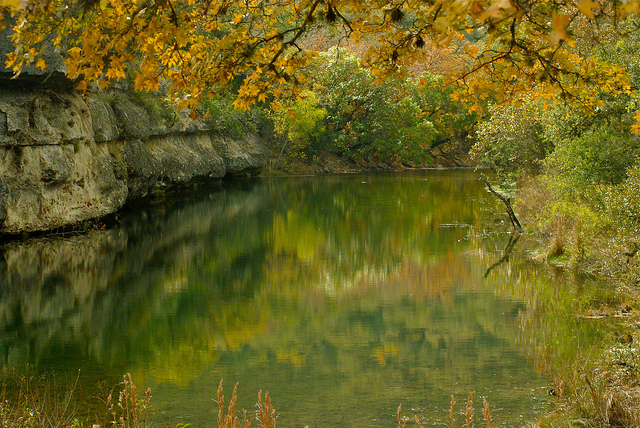 Known as the Grand Canyon of Texas, the park has 30 miles of hiking, biking, and equestrian trails. I went in April of this year, and highly recommend the Lighthouse Trail to anyone wanting to visit! This park is easily one of the most beautiful places I've ever been in my life thus far, and can't say enough about the natural beauty of the land. With almost 90 miles of trails to explore, this is the little brother, so to speak, of the Palo Duro Canyon. It's a lot less crowded than the Palo Duro, and has a 30 foot lake to cool off in or go boating on, as well as seasonal horse rentals. When you think of the Big Bend, the national park probably comes to mind. However, the state park also offers amazing views of the rugged terrain, a whopping 238 miles of multiuse trails, rafting, canoeing, or swimming in the Rio Grande, camping, and unobstructed views of the night sky. This mysterious, magical, and massive pink granite rock in Central Texas attracts thousands of tourists each year. 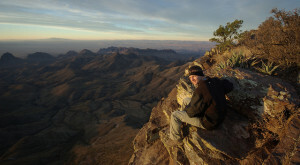 The grueling 1800 ft hike to the summit is totally worth it for the 360 degree views of the hill country below. Plus, there's a cave at the back of the rock just waiting to be explored. 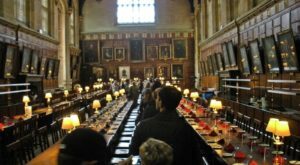 (Definitely doing this next time I visit). 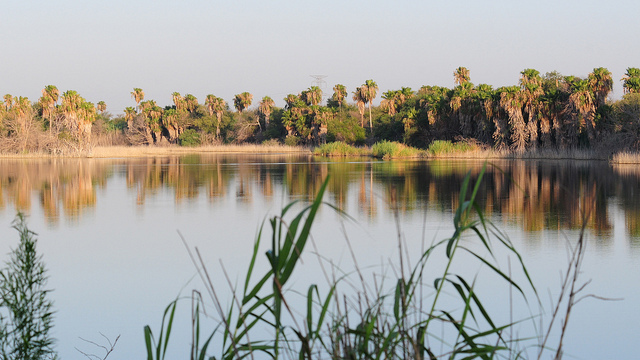 Located just east of the Big Bend Ranch State Park, this state park is an easy stopover point along your journey. While here, you can take a tour of the Fate Bell Shelter, one of the oldest cave dwellings in North America. You will get to see ancient Native American pictographs inside, as well as inside the Panther Cave at the back of the park. 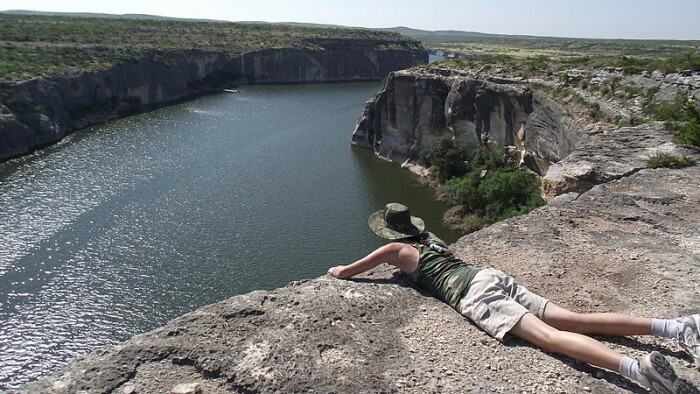 Other points of interest include the Presa Canyon Overlook along Seminole Canyon, and also the Rio Grande View along the Texas/Mexico border. This is one of the top places on my bucket list, simply because surfing on the sand dunes sounds like one of the most fun activities a person could ever do. Period. 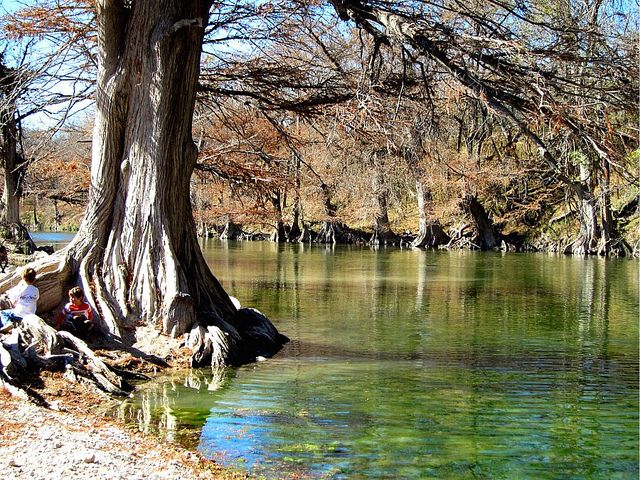 There's an overwhelming amount of outdoor activities here to please any family, whether you want to hike or bike the 11 miles of scenic trails, swim or tube down the Frio River, camp, fish, play mini golf, picnic, or just relax among nature. In the summer evenings, they also hold an old-fashioned jukebox dance! The highlight of this state park is the 60 ft Gorman Falls, although there's 32 miles of multiuse trails here to hike or bike along. You can also go on Wild Cave Tours to discover what lies beneath the depths of Colorado Bend State Park. 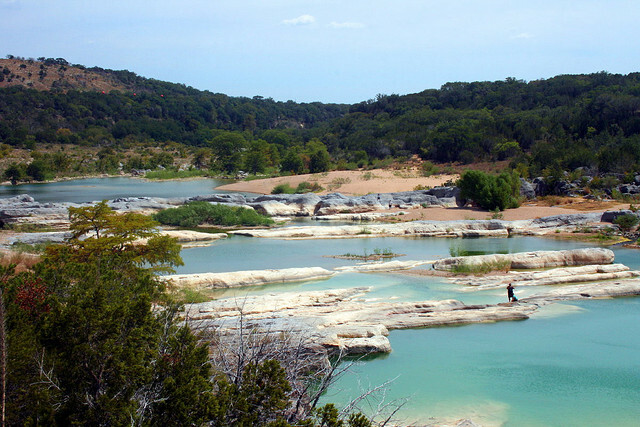 Beautiful blue water and rocky hills will greet you when you visit this hill country treasure. 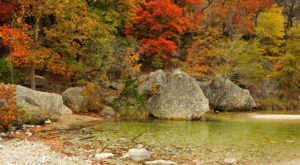 You can swim at either Inks Lake or Devils Waterhole, and there's also 7.5 miles of hiking trails through the abundant vegetation and slabs of limestone and granite. Named after the unique bigtooth maples in the park, the fall season draws in the biggest crowd since the foliage begins to change colors, as you can see in the photo above. Although it gets crowded during this time, I would recommend visiting in the fall to witness the beautiful, vibrant colors and enjoy hiking when it's cooler outside. 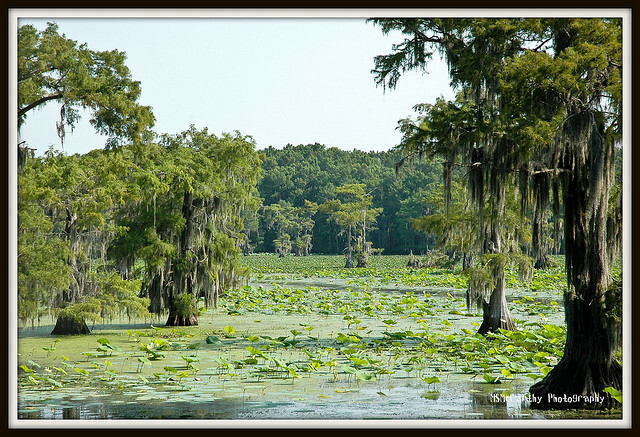 Swim, canoe, paddleboard, or kayak at the state's only natural lake, hike among the bald cypress trees, or rent a cabin to relax in a tranquil setting. Just 45 minutes west of Fort Worth, this park offers plenty of recreation. 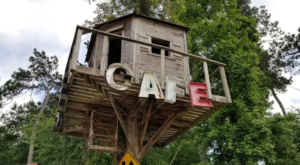 You can hike bike, or horseback ride along 12.8 miles of park trails, or the 20 mile trailway, swim, boat, or fish at the lake, go rock climbing, or camp at one of their campsites. Just 10 or 15 minutes from Beaumont, you will find a great place to swim, hike, and relax in this beautiful state park in southeast Texas. Most people come here to cool off in the creek in the hot summer months. There's also a 21 mile paddling trail for kayaking and canoeing. This is a world-class bird-watching destination, with over 358 species in the park's boundaries.You can also hike or bike through the park and take in the semi-tropical surroundings. The park has four miles of river running through it, so there's plenty of opportunity for swimming, tubing, kayaking, or fishing. Go on a 1.5 hour walking tour of the caverns, and after you're done, you can also hike along the trails and sit down for a family picnic. This is known as one of the most unique caverns in the world due to the geologic formations and history, so it's an absolute must-see if you're in the area! Texas is just such a beautiful state; I can’t say that enough! 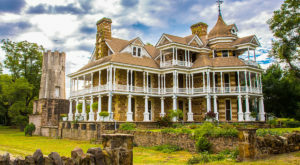 Now that summer is almost here, you and your family can take a road trip to some of these beautiful gems throughout the state! Did I leave off any of your favorites? Let us know in the comments!